YES! 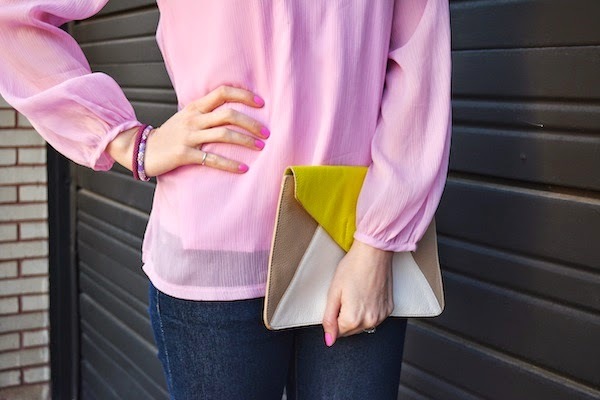 This pink top is gorgeous! I am falling in love with your heels! I need one like this. You are gorgeous as always. OMG...those heels are gorgeous! This is a really great outfit altogether, Jacy! I love that pink top with those shoes! Perfect! Love this, Jacy! Those heels are adorable! love love love love love THOSE SHOES! stunning girl! GORGEOUS!!!! Love the outfit and the location change! :) so great! Lovely spring outfit! I love the flowy top! Wow those shoes are awesome! Those shoes!!!! Love them paired with the light pink top! So beautiful! You are such a babe and have legs for days. Love pink on you. That pink is absolutely gorgeous on you! And those shoes? KILLER! Hi Jacy, you are always so pretty in pink, the blouse is lovely and I a have a major crush on these heels. I am thankful for your comment. Have a wonderful weekend! The pink and yellow are adorable! And of course those fabulous heels!